Human beings, and Bonobos and Chimpanzees, and all species that niche as cultural beings through the use of memes, have an innate drive to share their abundance. In scarcity, primates are competitive and will kill for the scarce resources that they need, but with abundance, the resources are instead invested in the other. In environments of abundance, the most resilient way for primates to exist is through sharing. Kins have always shared their surplus. Translated into modern civilization, we’ve created states that mediate the distribution of surplus. But there is also another organisational entity that distributes surplus, but on a smaller scale?—?the co-operatives. These co-operatives use a business model where they invest their surplus into their community of costumers. 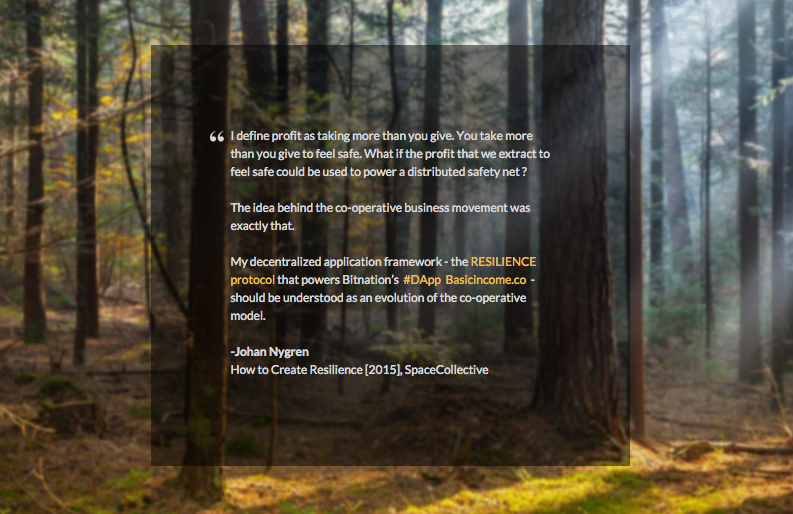 This creates a more resilient community as costumers receive a form of safety net, and it also gives co-operatives a competitive edge as costumers have incentives to harness dividends. The pattern here is that human relationship where profit flows from powerful to dependent do exist. Streams of shared profit do exist. Streams of basic income do exist. If a model for citizen dividends already exists, might it be possible to improve on it ? Basicincome.co(op) is an attempt to do that. With Basicincome.co, if you connect to a store, you gain access to dividends not only from that stores’ profit, but from their entire supply chain?—?similar to how Alaskans get access to the Permanent Fund Dividend if they connect to Alaska. 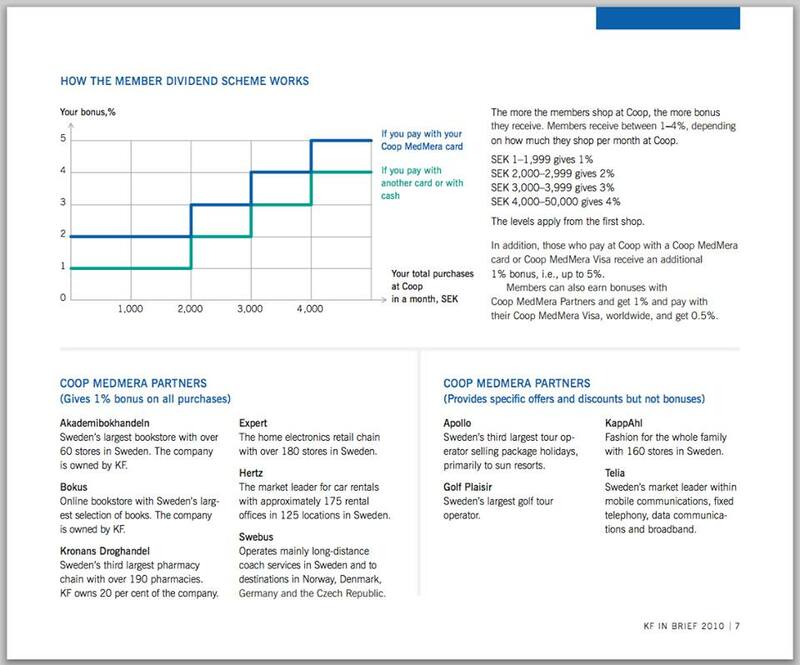 This adds a new dimension to the co-op dividend concept, where co-ops might come together to improve their dividends, and by doing so also attract people to choose their services. Instead of receiving a share of the profit of a centralized network, each person would receive a share of the profit from a vast number of smaller decentralized clusters. The accumulative dividend flow would be pretty much the same, as in the amount of basic income, but the laws that create the basic income would be much more mobile and the world much more open. I’d like to invite the basic income community to talk about my work and ideas. (1) The accumulation of social capital (i.e. the creation of new links) is conducted through search of profitable opportunities that are to be found by ‘moving’ along the current network. That is, search is a network- mediated process. At Coop, you’d get 4%, $30000, but you’d obviously be consuming the $750,000 and not get to keep them. Well I don’t think you understand what I’m asking then… Yes I realize I can go shop at a co-op and get a rewards program but I want to buy the co-op and keep part of the profits. You can think of it like stocks and bonds sort of. It takes millions of dollars to open a co-op the size of a big box store so nobody can do it alone and you need a bunch of people to invest capital. People invest capital because they get part of the profit and stocks which can be liquidated if needed.